Due to a mix-up on times last week, I'm repeating this show again starting Sunday 22 March at 7am (Canada/US) and 11am (UK/Ireland). Repeated on Tuesday at 8pm (Canada/US) and 12midnight (UK/Ireland) and Thursday 4pm (Canada/US) and 8pm (UK/Ireland). North American times are EST and British times are GMT. Check www.bluesandrootsradio.com for times in your part of the world. This week on The Teller and the Tale, I'm joined by Scottish storyteller Amanda Edmiston. Born in Aberdeen, Amanda's has travelled and lived in different parts of the UK before coming to Glasgow as a single mother to study herbalism. It was around this time that she also took up storytelling, no surprise given that she grew up in a storytelling household (Amanda's mother is storyteller Jean Edmiston). However, before she began her life as a storyteller, Amanda spent time studying Native American art and culture in America, an influence which also finds its way into her stories. She also studied human rights law and ashtanga yoga, a practice which still informs and inspires her work. Recently, Amanda has been working with the "Living Voices" programme, sharing poems, stories, and songs with the elderly in a highly participative project. 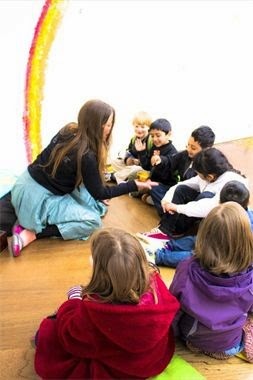 She's also at home in the classroom telling stories with children and young people, inviting them into the ancient world of herbal and botanic folklore demonstrating the importance of our relationship with the natural world. In addition to her solo work, Amanda frequently collaborates with other artists and musicians exploring local history, people, plants, and the important life-giving connections between them all. 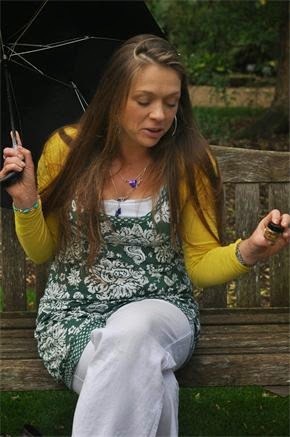 Learn more about Amanda's work at http://www.botanicafabula.co.uk/About-Us.html. Amanda will be taking the show to the Logan Botanic Garden, near Port Logan in Dumfriesshire, in May 2015 so check her website--Botanica Fabula-- for dates and times. Join me as I catch up with Amanda in her home near Stirling to chat about her life and storytelling and learn more about her passion for herbal and botanic folklore and story. It all starts off on Sunday 15 March at 7am EST (Canada/US) and 11am GMT (UK/Ireland) only on Blues and Roots Radio (www.bluesandrootsradio.com). Check the Blues and Roots Radio website for details of times in your area.